PLEASE USE THE NAVIGATIONAL MENU AT LEFT TO FIND YOUR STYLE OR MASTER. 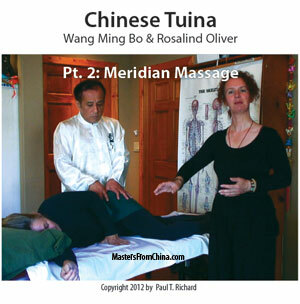 Use the menu at left to easlily browse through styles, masters, special training and health issues. You can also check out the Study Guide for video recommendations. NOTE: ALL VIDEOS ARE NOW AVAILABLE FOR DOWNLOAD. WHEN YOU BUY DOWNLOAD I WILL RECEIVE YOUR ORDER FROM PAYPAL AND SEND THE LINK AS SOON AS POSSIBLE. 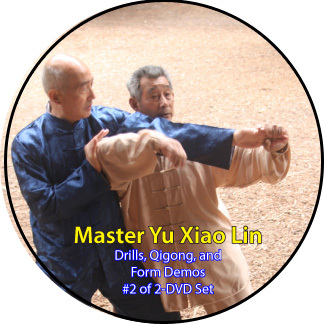 ALL VIDEOS ARE AVAILABLE BOTH DOWNLOAD AND DVD - Save on shipping with DOWNLOAD ($6.95 US; $35USD international shipping). many of these videos. Modules provide stepwise training on major topics! 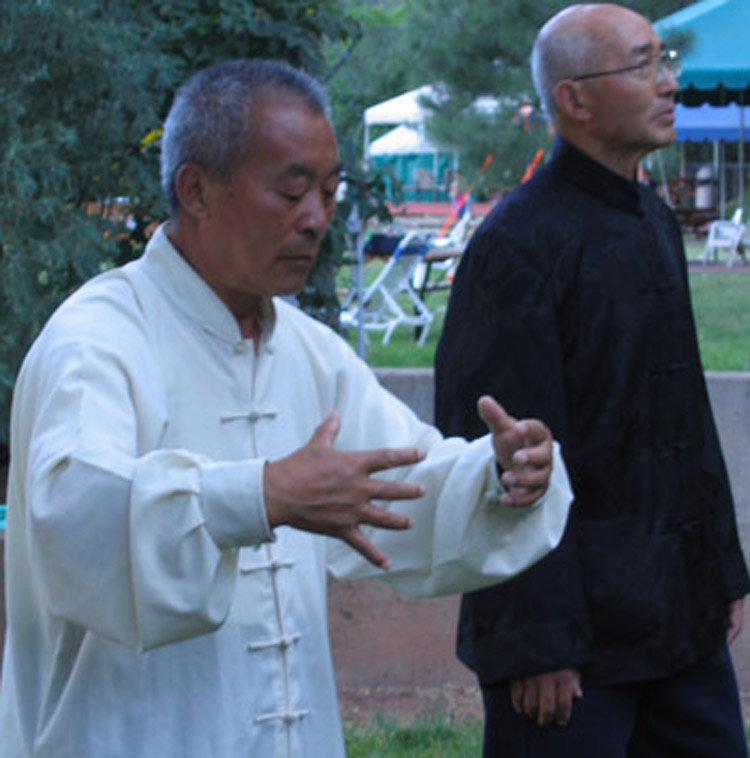 What do traditional Chinese internal martial artists say about energy? 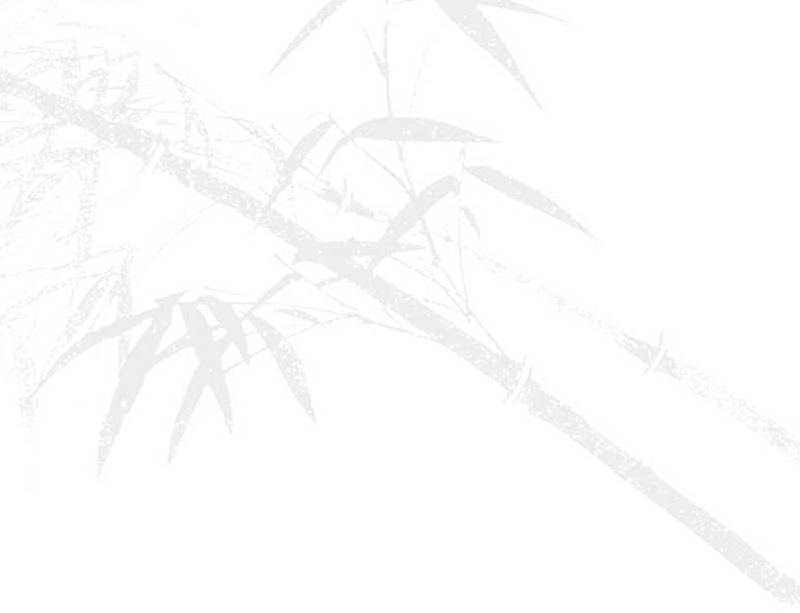 How do they incorporate mind and qi (chi) in their art? How do they teach it to learners? 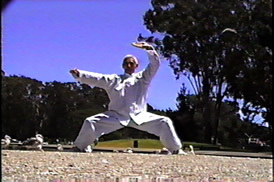 In the Masters From China video collection, top-level practitioners of internal martial arts describe and/or demonstrate their specialized understanding and use of qi. 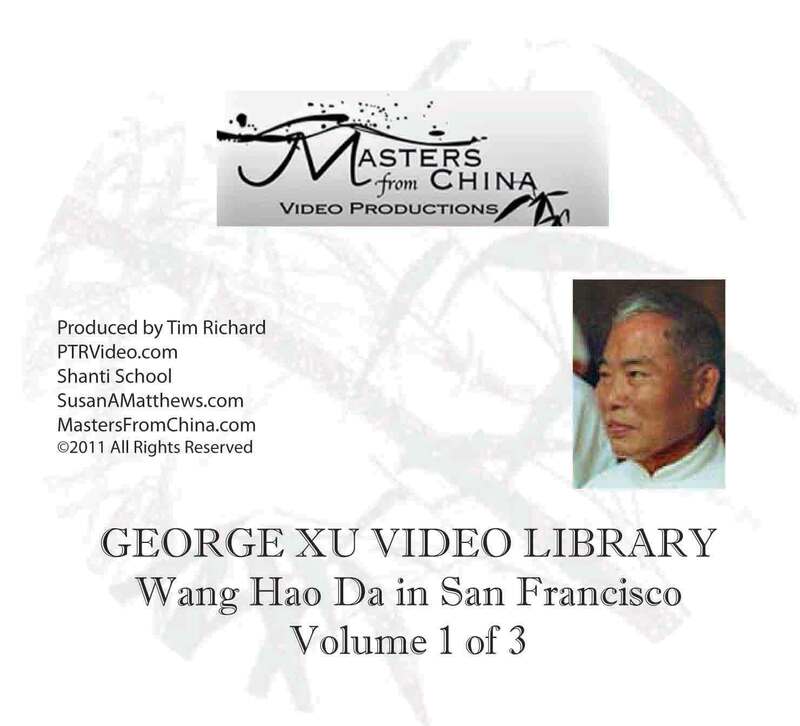 Videos in the Masters From China collection are unique and exceptional for their knowledge, descriptive detail and theoretical discussion about internal energy. 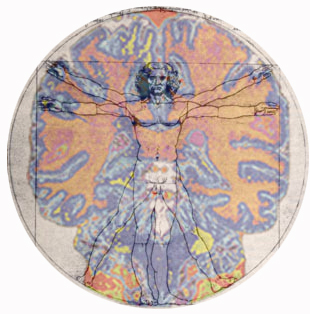 High-level information is highly accessible and memorable through the combination of discussion, testing, form demonstrations, application demonstrations, and follow-along exercise sessions. 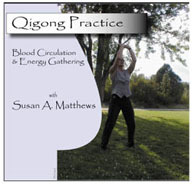 These videos are full of tips and techniques that are useful for any level taiji practitioner. Why? Because internal energy secrets and theories are seldom shared. 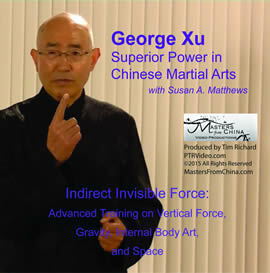 Whether you've practiced for many years or just a a few, and whatever martial arts style, whether internal or otherwise, this video series contains valuable lessons in the use of qi in martial arts.We are proud to offer videos from workshops and taiji training camps with George Xu, Susan Matthews, several Masters from Shanghai and Beijing including videos from George Xu China Camps 2004, 2007, and 2010 plus lessons videotaped during the 2009 Double Dragon Alliance Shanghai Training Camp.